http://transcripts.cnn.com/TRANSCRIPTS/1703/06/acd.01.html 7 March, 2017. HAYDEN: So, let me address that. So, I've heard deep state, all right? I generally heard it referred to Turkey or Moldova or Russia, not to the American republic. So, I kind of reject it. Let me use the term, "the permanent government", all right? Let me take my old agency, CIA, and let's just take a really quick look at recent history, all right? We've had three transitions since 2000 and the transition to President George W. Bush, no one changed at CIA. He kept George Tenet on. Eight years later, President Obama became president. Only one person changed at CIA. Me. In fact, President Obama called my deputy Steve Kappes to convince Steve and the rest of the staff to stay on. And then eight years later, with President Trump, two people changed at the CIA, Director Pompeo and his deputy. The rest of the workforce, Anderson, are intelligence career professionals. They work for Republicans, they work for Democrats. They vote, they have views, but as professionals, they know what they have to do. [and from another] http://fortune.com/2017/03/16/trumps-budget-could-cut-200000-federal-jobs/ Civil servants might want to start sending out their resumes to the private sector. President Donald Trump’s budget proposal could lead to between 100,000 and 200,000 cuts to federal civilian jobs. Deep State is another term for the bureaucrat agenda. At the start of the ZetaTalk agenda we warned about the bureaucrat agenda turning into a virtual war as the threat of their removal from their comfortable government jobs increased during the approaching passage. Trump is doing just that, by cutting government employees from the budget. Before Trump took office, Obama appointees packed every available job opening with their friends. These jobs are normally recession proof, as the paychecks come from being attached to the taxpayer teat, paid out of tax revenues or dollars printed to cover a deficit. This is one source of resentment against Trump, and efforts to block his moves. I was curious about an event that transpired in Dallas, Texas on Friday where all 156 tornado sirens went off in the middle of the night. Officials say it was a hack, but haven't given much detail on it outside of it being "centered in the Dallas area" could the Zetas clarify if it was a hack or maybe something bigger? (If it was a hack who would've done it and for what purpose?) 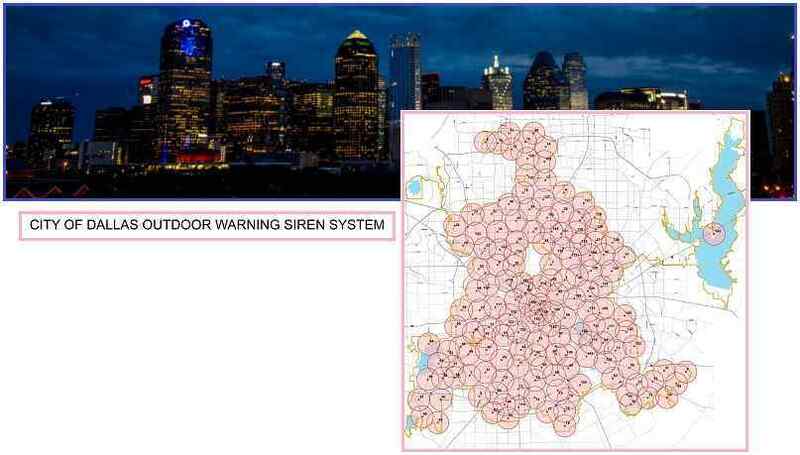 [and from another] https://www.washingtonpost.com/news/the-intersect/wp/2017/04/09/someone-hacked-every-tornado-siren-in-dallas-it-was-loud/?utm_term=.9bc7f47755d7 Last year, someone kept hacking into traffic signs in Dallas — corrupting bland electronic messages into jokey missives such as: “Work is Canceled — Go Back Home” and “Donald Trump Is A Shapeshifting Lizard! !” The sirens, whose purpose is to be heard by anyone caught outdoors in a tornado or dangerous storm, screamed from the southern reaches of Oak Cliff to the north. They blared for an hour and a half, to the annoyance, terror or amusement of 1.3 million residents. The city said it was trying to fix the problem, which it initially called a malfunction. [and from another] https://twitter.com/CityOfDallas/status/850585265781526528 [and from another] http://www.reuters.com/article/us-texas-sirens-idUSKBN17B001 Dallas' 156 sirens, normally used to warn of tornadoes and other dangerous weather, were triggered at 11:42 p.m. CDT on Friday. The wailing did not end until 1:17 a.m. CDT on Saturday when engineers manually shut down the sirens' radio system and repeaters. The breach in the city of 1.6 million people was believed to have originated in the area. The hack was among the largest ever to affect emergency sirens, with most breaches triggering one or two. The hack is being investigated by system engineers and the Federal Communications Commission has been contacted, but police have not been involved. The sirens went through 15 cycles of a 90-second activation before they were shut down. [and from another] https://arstechnica.com/security/2017/04/hackers-set-off-dallas-156-emergency-sirens-over-a-dozen-times/ The sirens began blaring shortly before midnight on Friday and were shut off and reactivated "more than a dozen times" before emergency workers shut the system down entirely at around 1:20am on Saturday morning. They aren't disclosing how the system was compromised or who may be responsible. [and from another] http://www.chron.com/news/houston-weather/article/Hacker-causes-every-Dallas-tornado-siren-to-go-11062786.php Officials have ruled out a remote hack - telling reporters someone gained physical access to a hub connecting all the sirens, which may not be turned on again until Monday as the city tries to figure out who, how and why. [and from another] https://en.wikipedia.org/wiki/Civil_defense_siren Siren installations themselves have many ways of being activated. Commonly used are DTMF broadcasts over phone lines (direct connection or standard PSTN) or over radio broadcast. This does leave room for exploitation, but there are protections from false alarms. [and from another] https://en.wikipedia.org/wiki/Dual-tone_multi-frequency_signaling Dual-tone multi-frequency signaling (DTMF) is an in-band telecommunication signaling system using the voice-frequency band over telephone lines between telephone equipment and other communications devices and switching centers. DTMF was first developed in the Bell System in the United States, and became known under the trademark Touch-Tone for use in push-button telephones supplied to telephone customers.